Pain points. Every event planner has them, especially when it comes to technology implementation and its effectiveness with engagement and increasing event ROI. And with so many technologies to choose from to tackle pain points during the event planning process and while onsite, digging deep to find the right solutions can be an overwhelming process. 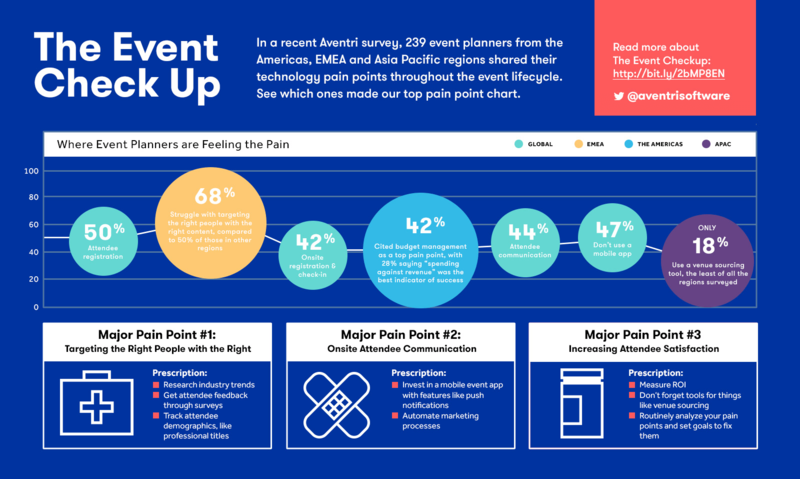 Here are some of the most common pain points from our survey participants, event planners from North America, Europe and Asia-Pacific regions, as well as some solutions to consider.